The McGraw Hill Company once published an ad that is now studied in advertising classes the world over. 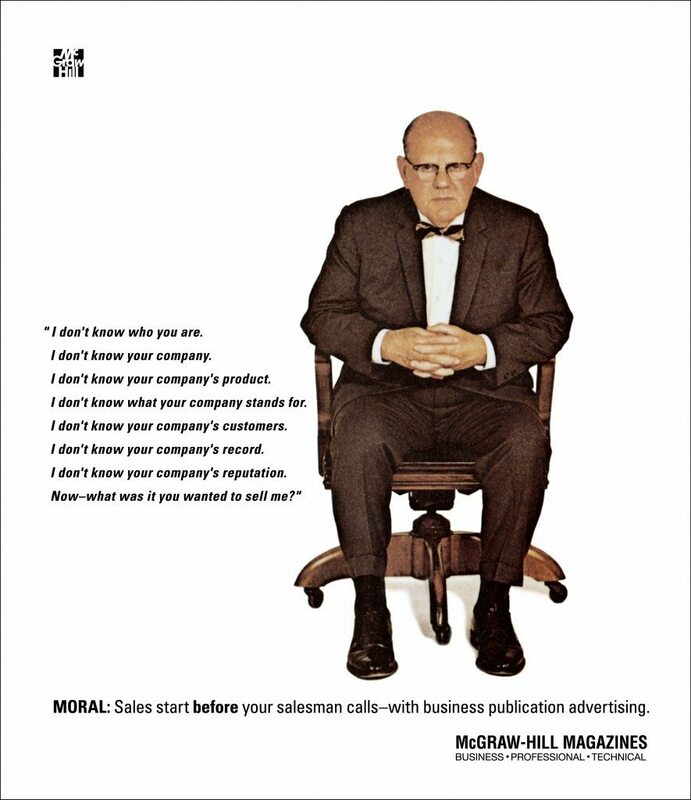 The famous “Man in the Chair” ad was meant to impress upon potential advertisers (Read: potential McGraw Hill Clients) the value of being a known quantity. The ad has achieved this level of fame because it’s effective. People are less willing to listen about something they’ve never heard of. A company who has gone to the effort of occupying page space in a McGraw Hill publication, however, well… they’re not nobody. It’s a name you’ve heard of. That’s often the difference between listening and not listening. While the ultimate value of recognition gained by any given advertising campaign is often hard to ascertain definitively, it remains a universal truth that the creation of basic recognition of a brand and its products is an essential first step for universal adoption among the target market. Lingo Media’s recent agreement with ISA Corporativo puts the ELL Technologies’ brand on high visibility in metro locations and bus stations accross Mexico. We are exceptionally pleased to be able to achieve this level of exposure through an in-kind trade. It is our intention to leverage this exposure to new subscriptions and the monetization of new users as adoption of our English language learning technology and course content increases and grows. Ultimately, it will be the positive learning experiences and language mastery of our users that drives and sustains our EdTech business. After all: there’s no advertising quite like word of mouth.